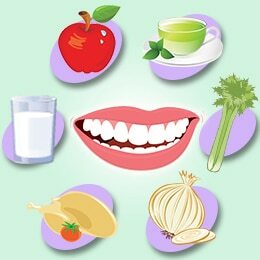 Did you know which foods are good for your teeth? Food and teeth, two words that are united by fate no matter what. It sounds really obvious in paper but I can stress enough how important it is to watch out what we eat if we want that perfect smile. 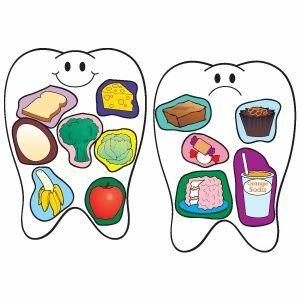 We are what we eat and that includes our teeth too. Many people just go through life eating everything that cross their path and even with superb dental hygiene they struggle to get that shining white smile. And there is a simple answer for that, they don’t pay close attention to their diet. Genetics also plays a role in all this, but essentially what we eat affects our oral health more than we think. So let’s jump right into it and review what food is good and bad for our teeth health. This one is an easy one. Everybody knows by now that sugar is really bad for their teeth. But the thing is that the excess of sugar is harmful for your teeth enamel and creates an adequate environment for bacteria and plaque to build up. This can cause dental cavities and gingivitis easy and ultimately tooth loss, especially if you don’t brush twice a day at least. This doesn’t apply that much for artificial sugar as stevia. Even if it is sugary kind of, it is not as abrasive as natural sugar. But anyways you shouldn’t neglect your dental hygiene routine. You should keep brushing your teeth twice a day and using other dental products such as dental floss and mouthwash to clean your teeth nicely. And I want to take a moment to discuss this. It is very important that you remember to be as gentle as possible to avoid harming your tooth enamel. Being aggressive will just end up hurting your teeth much more than the sugar from candies and sodas. Eat a lot of fruits! Instead of candies like chocolate and such you can eat any fruit that you like. The natural sweetness of fruits is really good for your health and it can be really tasty, so give them a chance! And there are some fruits that help to clean too thanks to their natural proprieties. One good example of this is pears, they are not only sweet but they are also delicious and super good for the teeth. Apples also enter in this category and you should include more of them in your diet. Besides fruits, veggies also are really good for your teeth. Carrots, cabbage and rice are really good to fortify soft tissue like the gums and help your circulation too. Tomatoes are also a good choice to accompany your meals if you really want to take care of your teeth. And now let’s talk about one nutritious drink that is amazing for your teeth: milk. Milk has calcium and this is really good for all the bones in your body, including your teeth. Drinking at least a glass of milk a day can make your teeth strong and can help you too keep them white and healthy. Another suggestion to have perfect white teeth is to avoid drinking or eating foods that can stain your teeth, like coffee and sodas for example. And last but not least, avoiding some vices like tobacco and alcohol, especially wine, can make the difference between the teeth of a superstar and a total train wreck. Besides consuming all these suggestion you have to compliment your diet with good dental hygiene. And on top of that with good dental habits like going to the dentist for regular check up and cleaning and here in Dental Solutions Los Algodones you’ll find the best prices available in any dental need!